The lost foam casting method uses an expanded polystyrene (EPS) foam pattern that is expendable. For each casting that is poured an EPS foam pattern is burned up. The process starts out by creating a foam tool from which foam pieces are made. The casting de-sign can have undercuts, minimal draft, anything that can be placed into the foam tool. Also, the final foam pattern can be made from several pieces of EPS foam that are glued together al-lowing design flexibility not possible in other casting processes. If the part is small, a tree of multiple foams can be glued together. This final foam piece will also have a gating system attached to it for pouring. After the foam is com-plete, it is coated in a re-fractory wash, placed into a large flask, where dry, loose sand is poured around the foam while the flask is vibrated. The vibration effectively compacts the sand around the foam and helps to fill any difficult to fill areas. The molten metal is poured into the flask instantly vaporizing the foam upon contact and replacing the volume it once occupied. We all know that sand casting is the most traditional casting process for iron castings. But, with the development of lost foam casting technique, lost foam casting has been used to replace sand casting process for its more accurate dimensions, less casting defects, better surface finish, ect. This casting method can permit the generation of complex, ornate shape of iron castings. Polystyrene foam will assume the shape of an aluminum die reliably with the addition of steam. This form of casting often proves highly cost-effective. Particularly for iron casting with complicated structures, lost foam casting may supply the most affordable production method. Normally, Lost foam casting can reproduce iron castings of many different sizes which were produced in sand casting with rough surface. This process usually does not require extensive machining for its good size accuracy. While machining is commonly needed in sand casting process. Skilled lost foam casting will permit the effective casting of narrow or thin dimensional shapes of iron castings under some circumstances. This aspect contributes to the utility of this manufacturing process. 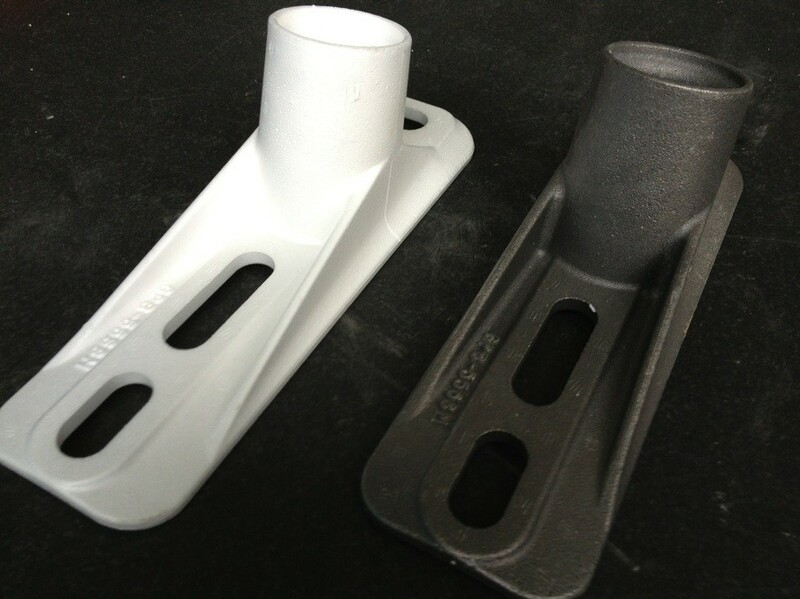 Applications of lost foam casting for iron castings are very wide, especially for those thin wall parts. Its comparative simplicity and low cost make this technology a popular selection for iron castings. Since lost foam casting companies employ lost foam casting to create ornate, complex and detailed iron castings comparatively inexpensively. It has found wide application within many fields, including engine cylinder liners, farm castings, valve castings, ect. Manufacturers sometimes also use lost foam casting to create cast cylinder heads or other complex shapes, for instance. Since they can produce iron castings in many different kinds of cast irons using this process. In a word, this casting method holds wide appeal for companies seeking efficient, cost-effective and versatile manufacturing services. Would like to produce your iron castings with lost foam casting method? Contact us right now! 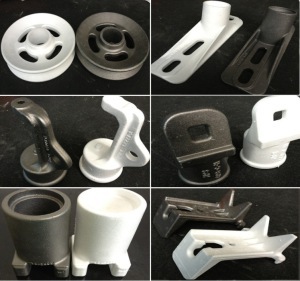 We will be your one stop source for iron castings in lost foam casting process.